This Hingetown spot is just so... soothing. It's small & minimally decorated, done all in wood & glass, & they have a massive & delicious tea menu. They even offer kombucha classes! 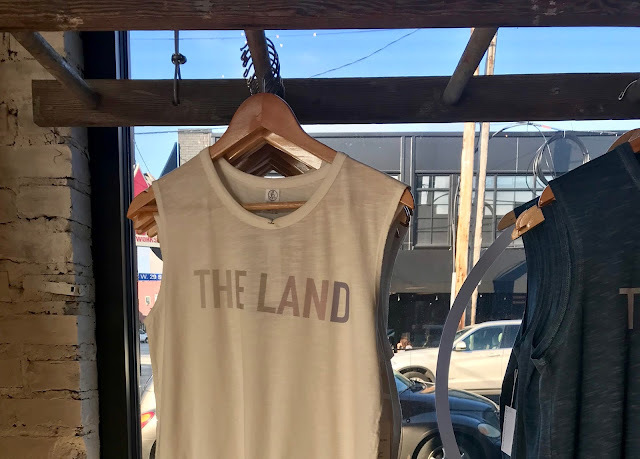 That's right, Cleveland's hit the bougie big-time. I like to hit up Cleveland Tea Revival after Harness Cycle classes, where I order a large peach peony iced tea - which tastes like neither peaches nor peonies - to refresh my very sweaty post-workout self. It is worth every penny. This Mediterranean fast-casual restaurant is owned by the folks behind local favorite Aladdin's, bringing DIY bowls (think Chipotle but Middle Eastern) to Ohio City. My go-to bowl is lentils & beef shawarma topped with Israeli salad, chopped radishes, slivered carrots, pickled turnips, hummus, hot sauce, & garlic sauce. I've always loved Aladdin's hot sauce, but the garlic sauce is new to me - & my God, is it incredible. This takeout pizza joint is right down the street from me, so it's a good thing I committed to ordering less pizza in 2018... though their deliciousness & proximity to me sometimes make it a tough resolution to stick to! Everything is locally sourced & made from scratch, with no substitutions, so order something you want in its entirety. As for me? I love their BBQ chicken pizza more than I have ever loved any BBQ chicken pizza, ever. Thai food was my gateway food away from being The World's Pickiest Eater, & it remains one of my favorite cuisines. Lakewood's Thai Thai is small & unpretentious, with very few tables & a heavy takeout business. Their menu is focused on Thai street food, with large, filling, & incredibly flavorful portions for around just $10. Their chicken ka prow, my go-to dish, is one of the best I'd ever had - with ground chicken, the authentic Thai way, which is so hard to find here! This Asian-inspired food truck is owned by Cleveland's most esteemed food Instagrammer, Tricia of CLE Foodies, who I finally met when I ordered the okonomiyaki fritters you see below. The food from this truck is consistently the best food truck food I've had, so I'm prettttty excited to learn that they'll be at the Tremont Farmers' Market every Tuesday of the season! Hold, please, as I work my way through their entire menu. I was determined not to like this brewery-slash-pizzeria when it opened in Hingetown because I wasn't a fan of the name. Now, though, I can't remember feeling anything but love for it because damn, their pizza & beer are second to none. I love their Habituale, a kölsch, & their thin-crust pizza - surprisingly unsaucy, given their name - comes in all kinds of creative varieties. I like them best for brunch, when you can get this chicken and waffle pizza, which is exactly as tasty as it sounds. If you're local, do you love these spots, too? Anyplace else I need to try? Share the love!